TRUFLOW Delivers Spray Booths like no one else. 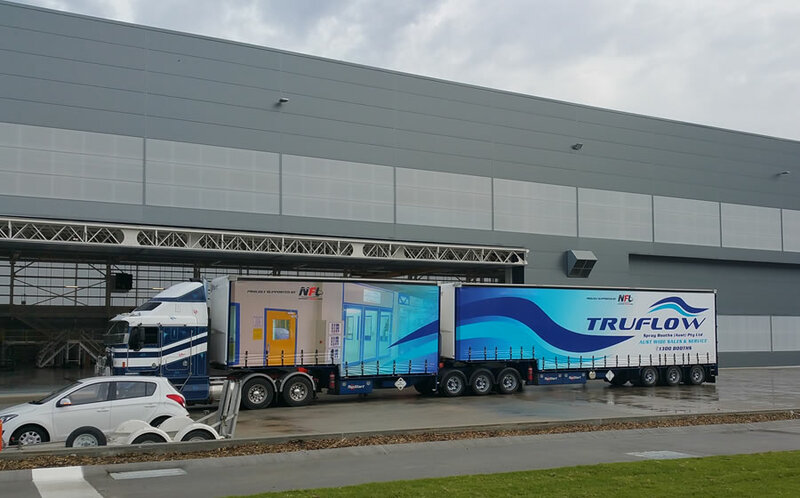 Its hard not to see the delivery coming when the graphics are as bold as the new curtains that have been installed onto the TRUFLOW B-Double. Delivering products Australia Wide the B-Double can fit two spray booths flat packed and have them just about anywhere in Australia in a few days. The curtains were provided by Attards Australia, big thank you to the attards team – they are great to work with. Our transport is supported by NFL Transport – These guys have been great to work with and we appreciate their dedication to helping us deliver on time and meeting the commitments we set for our projects.